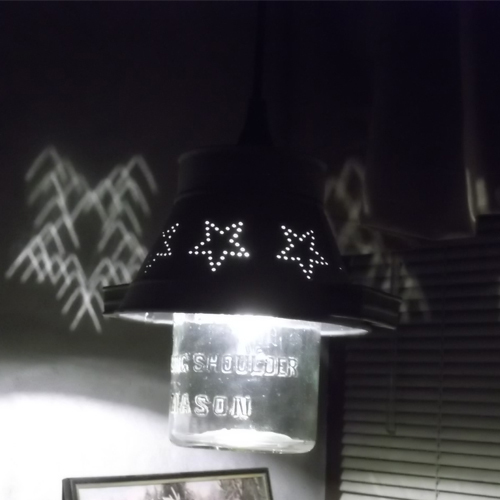 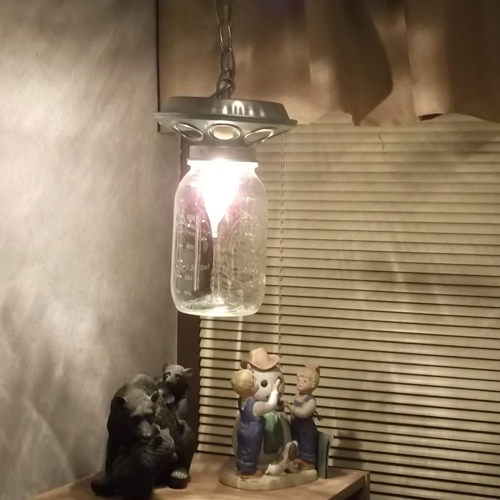 As with all of our mason jar crafts, our mason jar pendant lights are designed and crafted by hand with the primitive collector or designer in mind. 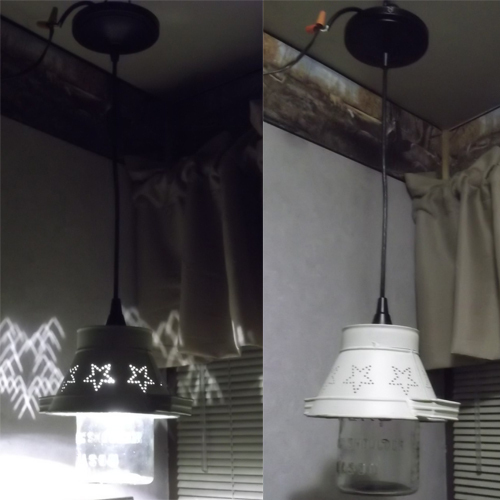 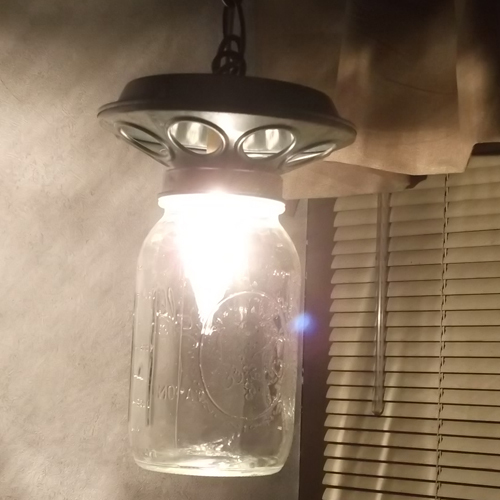 Made with quart-sized and half-gallon mason jars with 40 watt bulbs (included), these mason jar pendant lights will add a nice touch to your den, great room or even a country kitchen, or use them in the hallways of a log home. 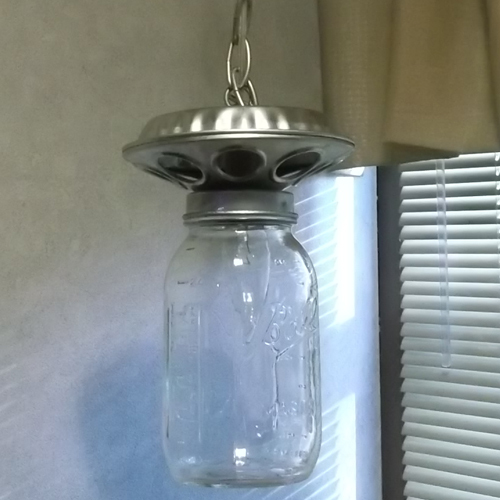 Quart-size mason jar with 19″ chain from ceiling base. 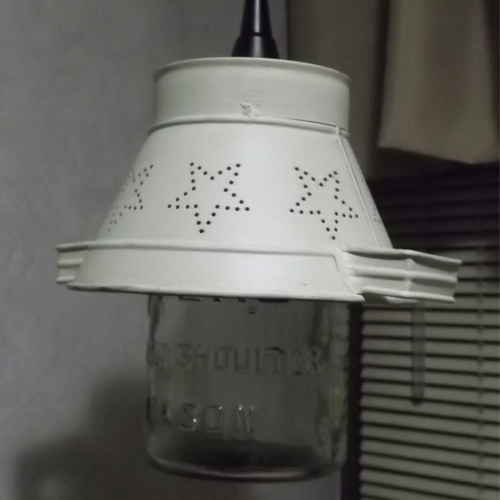 Chain can be shortened to fit a smaller area.